Low sugar foods are also in use nowadays. People use them due to various reasons. Some want to be slim while some owing to their disease condition of the body. The foods containing high sugar content is quite dangerous and risky for your body health. It may lead to various effects such as it increases blood sugar level and stimulates insulin release. This hormone upon its release affects our growth hormone and decreases its release. All this may prove to be hazards to our body. The Even immune system is affected and the body becomes susceptible to a number of opportunistic infections. Weight gain and other problems are also the results of high sugar foods. Therefore, one should try to consume foods that are having a balance of everything but no excess at all. Foods containing less in sugar amount maintain blood sugar levels, which in turn maintain insulin levels at a regular level. There are so many low sugar natural occurring foods. The need is to recognize them and add them to the diet. It is also necessary to keep an eye on your children diet along with your diet. Make it sure that your children are not taking high sugar food since it can lead to dental caries in them. High sugar food on regular basis is a hazard for all age groups. Its use should be in limited proportion while diet should be rich in low sugar and low fats. Fruits Low in Sugar: These include raspberries, lime, strawberries, peaches casaba melon, rhubarb, nectarines, watermelon, apples, papaya, guava, grapefruits, avocado, blueberries, and apricots etc. Vegetables Low in Sugar: Low sugar vegetables comprise green bell peppers, celery, broccoli, mushrooms, spinach, chicory onions, Swiss chard asparagus, lettuce, Arugula, and cucumber. All the vegetables are rich in minerals and different vitamins. Add one vegetable daily in your diet and you can remain fit by getting all the essential vitamins and minerals. 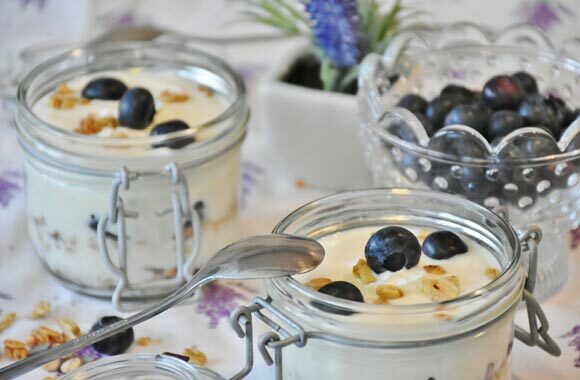 Dairy Products: Among dairy products cottage cheese is low in fat and low in sugar. So you can use it in replace of your high fat and sugar cheese. Air Popped Popcorn: These are grains low in sugar content and are quite good to satisfy your food cravings. Shrimp: It possesses no sugar at all and is a great source of iron, phosphorus, vitamins B complex, and selenium. All are essential to carry out different kind of functions n our body. For instance, iron is needed to make blood in our body. Its absence may lead to iron deficiency anemia. Dipping the steamed shrimp into salsa or in a little quantity of balsamic vinaigrette can make it even lighter and low in fats and sugar. Egg Whites: They contain just very low calories and no sugar at all. You can use Egg whites with vegetables that are also low in sugar such as mushrooms and spinach to change the taste and add spice or you can use them with low sugar meal or snacks. Egg whites are also a good source of proteins. Opting foods that are low in both carbohydrates and fats can facilitate you to control your calories and allow you to eat healthy food. By avoiding the intake of high-caloric or sugar foods, you will decrease your sugar and detrimental fat intake and storage noticeably.